Last weekend I spent the whole weekend watching all the episodes of Grimm, the NBC horror/fantasy show. Somehow, I hadn't seen it before. It's got people who are really monsters and basis for German fairy tales. It's very compelling and not a typical network show. That's probably why I hadn't seen it, it was on NBC. I don't ever watch NBC. Well, the season seems to be winding down, but there are still a few episodes left. Just watched the latest episode. I find it really compelling (and I hate everything). By the way, I just love digital on demand. We haven't had it very long where I live. Not only did I get to watch Grimm, but I just love Black Exploitation movies from the 70s. I've been catching up on them as well. And that leads me to back when I had Netflix. My tastes in movies was so bizarre that the computer couldn't figure out what to recommend. What to do about Newt? I'm not at all certain what to do with my Newt Gingrich bobble head. Now that he's dropping out of the presidential race, no one will want it in 20 years. There goes my retirement savings. I was planning on reselling it for a killing in my golden years. Dang. I don't often comment on political issues, at least not on public forums. But I was intrigued by the loud outcry by the Catholic bishops on the Republican House of Representatives war on the poor by their proposals that would drastically cut anti poverty programs and even raise taxes on the working poor to fund more tax breaks for the wealthy. There's something going on here that I haven't seen any commentary on. The plan is obviously to complete the transition that has been going on for some time--to turn the poor people back into serfs, like in days of old. The poor people will have no other purpose but to till the soil and do the work for their lords and masters in the nearby castles who control all of the wealth. It's a time honored tradition and we are heading rapidly back to the good old days. And, if they're serfs, they are kidding themselves by going to college when they'll still be doing menial labor when they complete their education. Education is for the elites, not the masses. Who needs educated serfs--hence the drastic cuts proposed for financial age and student loan programs furthers the goal. Serfs. My mother set out to give me the most common name she could think of. Well, she succeeded. For some reason, she thought a "popular" name was the way to go. She caused me considerable grief over the years. If only she'd named me Jedediah or Wilbur. In high school, there was another David Riley. I found out about it on my first day as a freshman when I discovered I was in all remedial classes. I knew I got stupider over the summer from junior high, but that was ridiculous. I even went to the wrong counselor for all four years. That wasn't discovered until late in my senior year. Then I started writing. I'm constantly mistaken for a David Riley in England. I've been asked to autograph his books at cons. Last year, the guy editing the Zombies! Zombies! Zombies! book actually sent me a contract to reprint one of his stories. I should've just signed it and cashed the check. But, I wrote and explained the situation. Anyway, he sent me a free copy of the book for being a good sport about it. Why don't I use a pen name? I should have, but I'm now established as David B. Riley. Becoming Wilbur Riley would cause more problems than it would solve. I'm actually starting to get name recognition as me. This came up again as I recently decided to join the HWA. Naturally, the HWA already has the British guy and, apparently, another David as well. So, there was a little clarification needed there. But they seem to be able to cope with it. Maybe I'll write a story as Fred Riley. I haven't gone fishing this year. Although I live right next to a river, the weather hasn't been all that great. But, I've noticed a lot of fishing going on. So, I'll get out there soon. Why is this important? It's not, really. I will soon be going to Arizona to go fishing with my dad. The fishing in Arizona isn't as good as what I can catch outside my back door, yet I will travel hundreds of miles and will probably only catch a few fish. Fishing is simply not a logical activity. Last time I went to Arizona, I caught one fish. My dad caught two. We spent hundreds of dollars and spent twenty hours each trying to catch them. There isn't much in the way of trout fishing where my dad lives. It requires travel. So I travel to my dad's house, then we travel some more. Fishing is not a logical activity. I usually catch and release. If you like to eat them, you can get really nice fish: trout, salmon, and even steelhead at Costco. Fishing is simply not a logical activity. An odd thing happened yesterday at the grocery store. When I went back out to my car, a pack of cigarettes was on the front seat. The car had been unlocked. They were Kools. I don't smoke--never have. I wondered what to do with them. I thought about mailing them to the president, but it's now illegal to send tobacco through the mail [He used to smoke. The way things are going, he might want to start again].. Then I thought about tossing them in the church collection plate and letting God have them. Ultimately, I put them in an envelope and wrote the name of my former boss on them and left them on her front porch. [I don't like her very much]. I'll never know why someone left me cigarettes. And I'll never know what ultimately happened to them. One of the many mysteries of life, I suppose. Over at Science Fiction Trails, I got the stupid idea to try something a little different and do a special Martian issue. I thought it would be fun. That didn't work out as I had hoped. Writers have always had a tendency to spew stuff out without much regard to the editorial needs of a publication, but this time I was simply astonished. We said we wanted Martians, as opposed to little green men. We got a bunch of stories with little green men–not one of them even mentioned Mars. We said stories needed to address the reason the Martians were invading Earth (if that was the concept), but not one of them did. And we told people to put "Martian submission" in the subject line of the email–not one of them did. And the writers all seemed to think they were going to get published–not one of them did. And we could also point out that nobody even tried to do anything original, like going TO Mars [ala Jules Verne] or deal with microbial life from Mars [which is a real scientific theory]. No, just spew out some mindless crap. We were not amused with the sad pool of submissions. Some projects just don't work out. This time, we thought Mars stories would be fun and different. We were wrong. Over st Science Fiction Trails, where I am publisher, the website just passed 30,000 views. Picture 30,000 fish swimming in a stream or 30,000 zombies staggering down a highway--that's a lot. I've never been sure what most of these people are looking for. They don't buy anything. Few submit stories to our magazine. I guess I'll never know. Speaking of that website, I once wanted to make a short U Tube type video featuring Karl, our dinosaur sheriff, telling people how much he likes Science Fiction Trails. But, alas, I don't have a digital camera and probably couldn't figure out how to use it if I did. So, that ain't gonna happen. So, there won't be any fireworks or parade for the 30,000 milestone, either. Just a blog entry and life goes on. If those 30,000 people would buy or download a copy of our magazine I'd sure be happy. We'd get a Karl video for sure then. 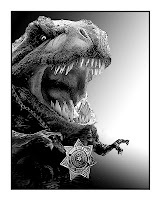 Karl, the dinosaur sheriff, says: "I just love Science Fiction Trails. It's so good I came back from extinction." One thing that's amazed me is that I used to have a permanent photo of Captain Bligh on my old website. Then, I've put him on this blog [that's the Charles Laughton version]. No one has ever asked WHY? 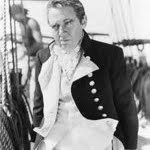 do you have Captain Bligh on your blog? Well, it's a two part answer. Some people used to say that Charles Laughton looks like me. And then there's Mr. Bligh. I think he's been unfairly demonized. By all accounts, he was a capable seaman and actually navigated by starlight 2000 miles in an open boat following the infamous mutiny on the Bounty. In other words, he's kind of a hero to me. Commander Bligh was just that--a commander. He was not a captain, though people refer to him as "Captain Bligh." The mutiny pretty much wrecked his naval career. I read a report that says that Tax Day is the single most dangerous day to drive during the entire year. Stay home and live. Not sure why. With efile it doesn't seem like people should still be rushing to the post office. Over at Science Fiction Trails, I never know what will come in by way of story submissions. I recently got one that was in the "spirit of Mike Twain," according to the cover letter. 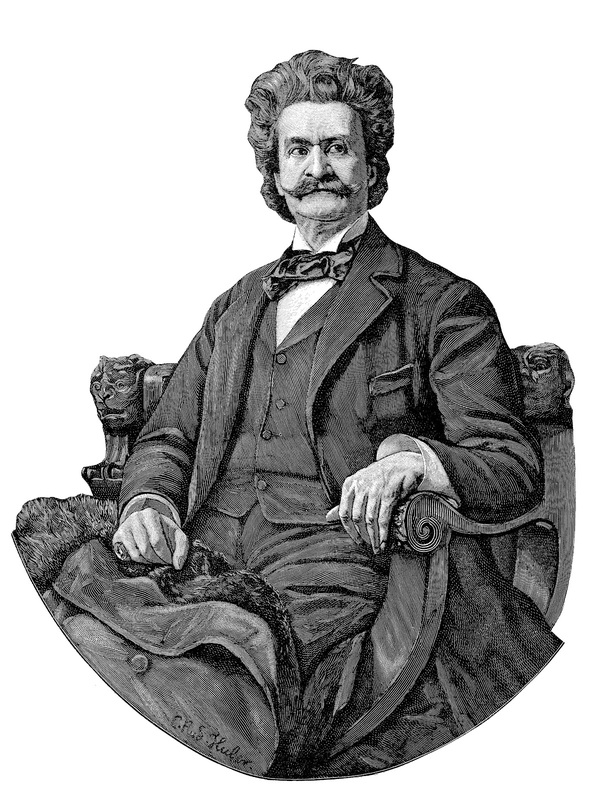 Yep, old Mike Twain had inspired this dreadful tale about some killer jumping frog. I used to threaten to hand out annual awards for the worst story submission of the year. I may have to revisit that concept. I don't do a lot of reviews. The Hunger Games is one of those stories where I wasn't even sure if I wanted to go see it. On the one hand, people killing each other as entertainment is hardly a new idea. It's been done before--a lot of times. The angle here, of course, is they're using teenagers to kill each other. On the other hand, I've watched the books take off like rockets and was hardly surprised when a movie came along. Well, I went and saw it. Frankly, the movie was pretty darned good. It's well told and well directed. The main characters are very likable and Donald Sutherland and Woody Harrelson turn in credible supporting performances. It was a dark and stormy night. The lightning created a surreal effect as he tried to hold on to the rain soaked rocks. suddenly, one of the rocks gave way and Young Winston fell to his death on the jagged rocks below. Rachel slid into the back seat of the gray four door Cadillac and the door was closed for her by one of the guards. That guard then went around behind the car and slid in next to her. He cradled an AK 47 against his chest. The guard in the front seat also had an AK 47. She had no idea what the driver carried. They were certainly well armed. And they certainly were black. She hated herself for thinking it, but these guys were really black–much blacker than black people back home. But, think about it, she did. They rode along in silence, with only traffic noises to listen to. There was a radio, turned off. She had no idea what kind of music these guys liked and didn’t have the guts to ask. Suddenly, a jagged bolt of lightning tore apart a tree right in front of them. A huge branch crashed down on the road. With hardly a nod, the driver swung the car into the opposite lane and went around the obstacle. "Bad storm coming," he said. Another bolt of lightning blasted into the ground, as if to underscore his point. Rachel finally mustered up the courage to ask "Is it a long ride?" "No," the driver replied. "We will have you there in fifteen minutes." Nothing else was said for the remainder of the trip. After fifteen minutes, they turned off the highway and onto a wide concrete driveway that took them past of grove of trees. Ahead of them was a huge mansion, or at least the silhouette of one. Everything was dark. "Storm must’ve knocked the power out," the driver said. He parked the car under a wide porte-cochere. A man in a white jacket opened the door and offered his hand to help her from the car. "Welcome, Miss Waters," he said. He opened the massive door and ushered her inside. "Right this way." The house was dim, lit only by lanterns and a few candles. He guided her through a maze of hallways that eventually led into a kitchen. He abruptly left her standing there. The kitchen was also lit with candles, though there were more of them–making things almost normal, in a flickering surreal sort of way. A tall bald man wearing a white shirt and apron smiled at her. "Right on time." "There must be some sort of mistake. I’m here to see General Adas," Rachel insisted. He held out his palms and said. "And you see me." "It’s just, I didn’t expect to meet you in the kitchen," Rachel explained. "This is where the stove is," he replied with a hint of laughter in his voice. He came around from behind the stove and pulled a chair away from a small table. "Here, sit down. Welcome to my country." Rachel opened her notebook. "I must say, I was a little surprised when your embassy called and offered to arrange an interview." "Ah, my staff are the best." "I didn’t mean that. I meant, I was surprised you wanted to do an interview with me," Rachel said. "I’m not really a foreign affairs reporter." "Thank God we cook with gas, the power being out." He slid open a drawer and removed a stack of papers. "I read your column every day." You get the Gazette here?" "From the World Wide Web. You have the best recipes," the general explained. "I love those almond chocolate bars." He patted his belly and said "Mmm." So much for a Pulitzer Prize story about the most hated man in Africa. At least it was finally making sense for why she was there. "They are good," she agreed. Another cooking story. "The best." He went to the stove and used a large wooden spoon to extract brown, crispy looking things from a pan. They were reminiscent of the chicken fingers from one of her columns. He placed them on a drainer, waited a moment, then transferred them to stainless steel bowl. "I think you may like these, General Adas’ Special Fried Fingers." "I flew halfway around the world to sample chicken fingers?" Rachel asked. "They are exceptional." He brought the bowl over to the table, then he retrieved a plate. "Try one." The taste sensation was pure delight. The outside was crisp, the interior a succulent blend of flavors. He gave her a glass of water. She noticed he’d poured it from a plastic bottle like everyone bought back home, but this one had a picture of him on the label. "These are delicious." She started in on a second one. He smiled. It was a huge smile. "I’m so glad you like them. I’ve made a special blend of spices." "How do you get the meat so tender?" She readied her notebook, which she had yet to use. "It’s all in the marinade," the general explained. "Then, I coat them and fry them in canola oil." "I’ve never had anything like them." She finished the second one and eyed the bowl, debating with herself whether to have another. "It’s amazing what you can do with chicken." "They are not, uh, chicken, exactly." The general grabbed one out of the bowl and took a bite. "No," the general said. "I use the fingers of my enemies." "Your enemies?" It was sinking in, though she still clung to a certain level of denial. "What kind of enemies?" "When I have people killed, I chop off their fingers and debone them. I tried a version with the bone in, but I didn’t like it." Rachel resisted the impulse to throw up. She gulped down the contents of the glass of water. "That’s horrible." "You just complimented them, only a minute ago," he reminded her. "Madam, I assure you they will not be needing them. I told you they were fingers. You were not paying attention?" the general said. She clutched her stomach. "I’m going to be sick." "Nonsense." He chomped down an entire finger, then wiped his mouth with his shirt sleeve. Rachel announced "I’d like to go to my hotel, now." "Very well." His voice sounded hurt. He left her alone in the kitchen. As she sat there, the aroma from the fingers wafted to her nostrils. She asked an empty room "How does he get such a gentle flavor?" Before she realized it, she was eating another. "God, this is disgusting." There was only one left. A soldier opened a door she had not even realized was there, right next to her. "Your car is ready, Miss Waters." He gestured toward the door. "Right this way." She followed him for a few feet. "Wait." She ran back to the kitchen and grabbed the last finger, then hurried to catch up. Well, the Easter book sale has come to an end. In spite of great prices on the print books, there were few takers. There were a phenomenal amount of downloads on the Kindle books, however. Of course, it's hard to beat free. I wish there were a few more paying customers out there. The theory in letting people download for free is they'll come back and buy something else later. I think, unfortunately, the competing theory that they'll only go for free stuff and will never actually buy anything may prove to be more accurate. Time will tell. I've often said the Postal Service works in mysterious way. Case in point. I recently sent out book copies for our new anthology, Low Noon. These were mailed from the Vail, Colorado area to various points on the same day. It is baffling to me that the books sent to Connecticut and Florida arrived faster than the ones sent to Denver and Ft. Collins--in the same blasted state. And some of the books, I have no idea what became of them as they have not been delivered. Delivery confirmation proves that the service from USPS continues to get more erratic and generally worse all the time. There are three things I believe and no one has ever been able to prove me wrong. 1. There is no North Dakota. Ever been to North Dakota? Of course not. Ever even meet anyone from North Dakota? Of course not. There is no such place. It's just a way for the so-called South Dakota to get twice as many electoral votes and representatives in Congress by faking another state. That's because they were shot down by the Martians. Far fetched? I knew a retired NASA employee who worked at the Jet Propulsion Laboratory. This was during the good old USSR days. Scientists talked way before Detente. Anyway, he said the USSR sent a probe to look for volcanic activity on Mars and its moons. The probe went by Phobos and picked up something between Phobos and the probe that was much hotter than the surrounding space. An hour later, the probe went dead. Anyway, the Soviet scientist in charge sent the JPL pictures of whatever it was [It was an infra red heat seeking camera]. The JPL scientists thought it looked like some kind of spaceship. Then they went home for the weekend. When they came back on Monday, the pix of the "spaceship" were gone. Nobody knew what happened to them. They tried to call the scientist in Russia. They were told he'd retired and didn't work there anymore. 3. J. Edgar Hoover and Edgar Rice Burrows were the same person. get pictures of the two of them side by side. They were the same guy. Some guy just outside the post office walked up to me and started calling me derogatory names. The only reason he's still alive is he was about 80 years old and it just didn't seem sporting to smash him to pieces. There I was, twice the size of this old coot, armed with both a 9mm and a knife [I doubt he realized this] and he just starts screaming curse words at me. I don't know what medication he forgot to take. I do know that I could've snapped his neck like a twig, or simply shot him. But I live in Colorado. If this was Florida, then I could've said I was afraid of him and blown him to hell, no problem. I just walked off. I do have a concealed carry permit, by the way. Wait, there's more. So, I get home and I'm taking out the trash and some guy's pit bull comes after me. Well, I beaned fido with a trash bag and the dog retreated. Then this guy comes running up to me with 2 x 4 in his hand. "Leave my dog alone!" he screams. "Keep your dog away from me or it's going to die." I then grabbed his 2 x 4 and took it away from him. Maybe there's something in our water. Then, I went back inside. This guy, also, could've been blown to hell and seemed unaware he was bringing a board to a gunfight. Ah, if only I lived in Florida. Neither twerps were a real threat to me. I doubt either realized the danger they put themselves in for no discernible reason. 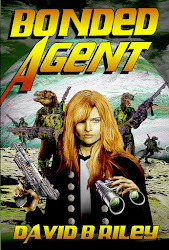 Over at Science Fiction Trails, where I am publisher, our website runs between 20 to 40 visits per day. Nothing earth shattering. What I've always wondered is, what are these people looking for? They never buy anything. I even took down our online cashiering and replaced it with links to our distributor because no one ever bought anything directly off our site. Almost all of our sales are on Amazon. They don't seem to want to submit stories, either. The overwhelming majority of our story submissions come from previous writers. So, that leaves me with the question: What do they want? I have no idea. We tried a survey of our customers last year and asked how they found out about us. Almost all said Amazon. Few even knew we had a website. Ergo, further fuel for the the theory that our web visitors are not our paying customers. It's baffling, trying to run a small press operation. It almost seems counter intuitive. Whether you get reviews or not, no matter what price you charge, or any other variable and it's still a crap shoot not much different than random chance. So, to further test this theory, this weekend, calling it an Easter sale, our books on Amazon are going to be 40% off [print books] and there will be a rotating free sale for our Kindle books--meaning different products at different times. I doubt that this will affect business very much, but I wanted to see if buyers would react to the sale. We'll see. I'll report the results next week. 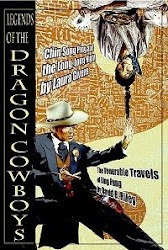 Oh, the picture--that's Karl, the dinosaur sheriff off the cover of Science Fiction Trails. This coming weekend there will be at least one, and perhaps more, of my books available for free on Kindle starting April 7th. Which one which day? Go to Amazon.com and search in kindle books under author name, David B. Riley--that's me! Great deal. Hard to beat free.